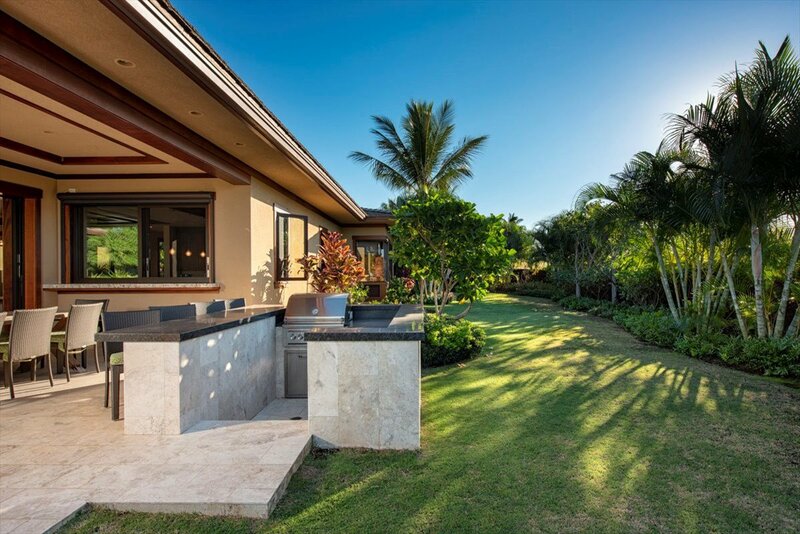 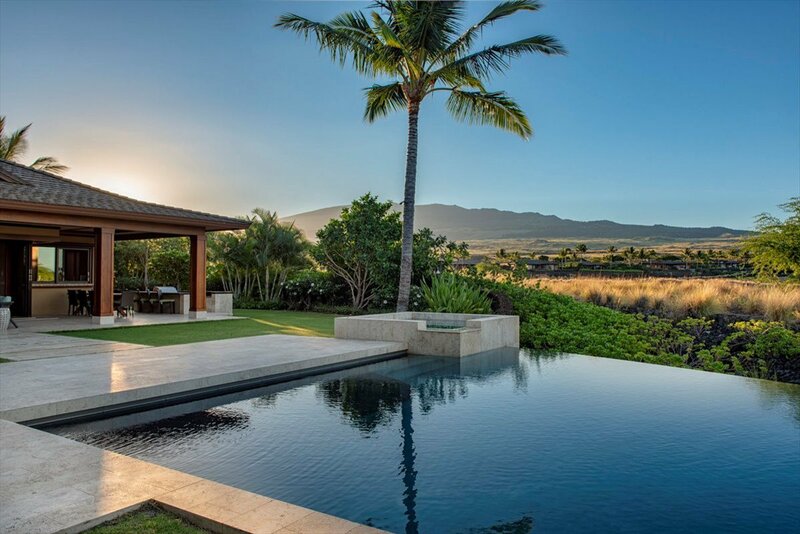 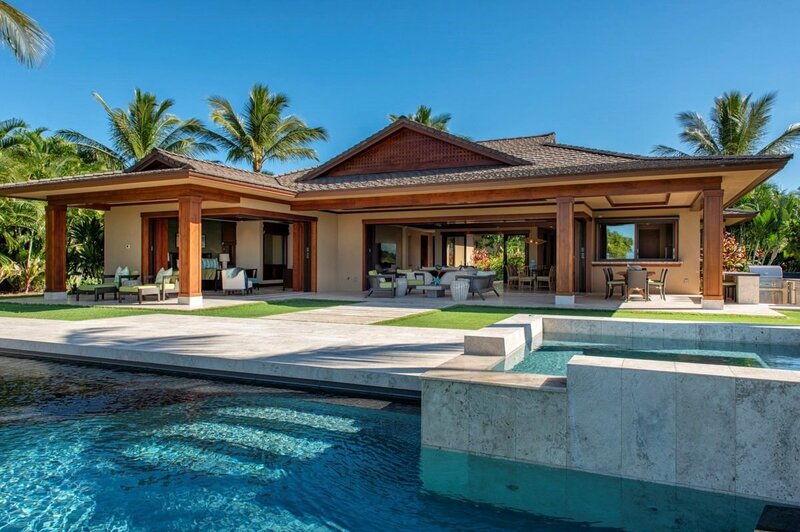 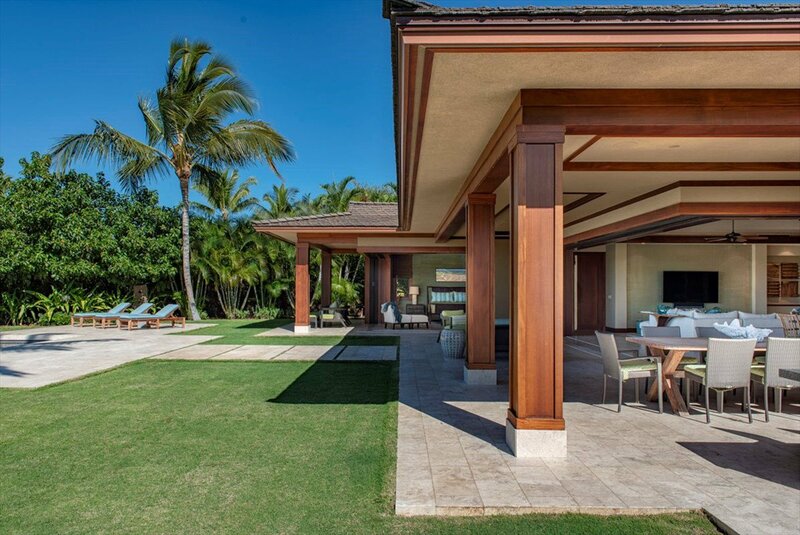 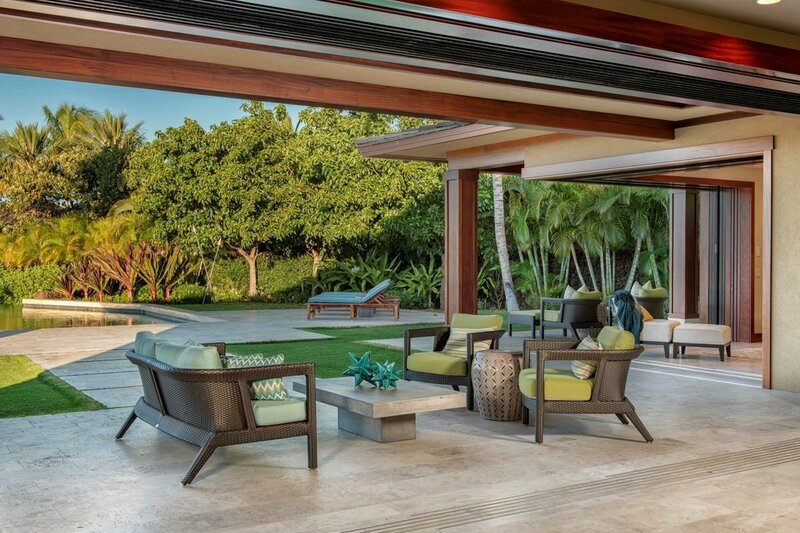 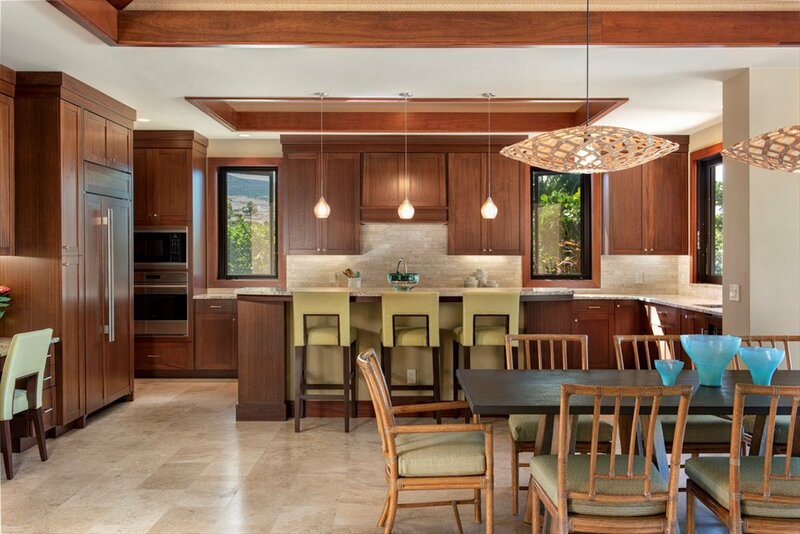 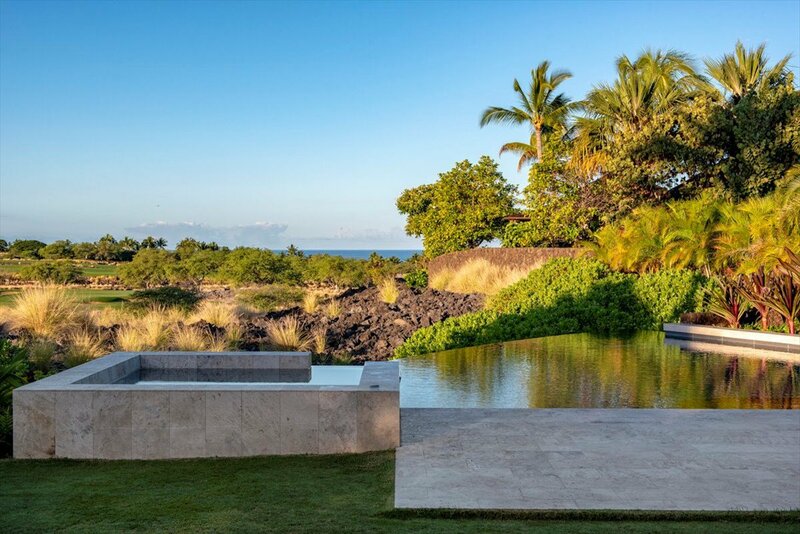 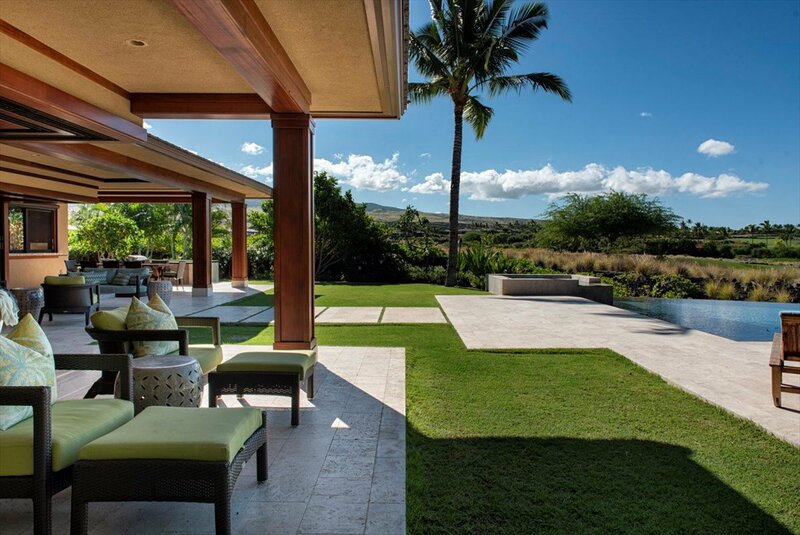 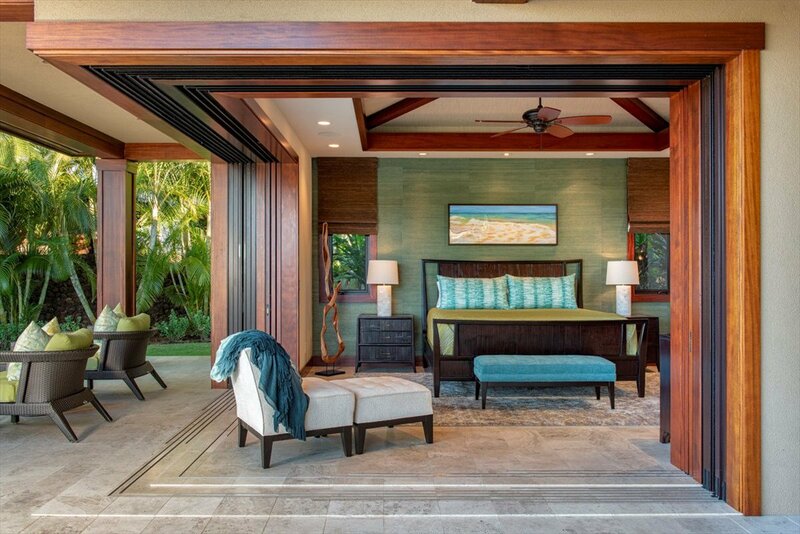 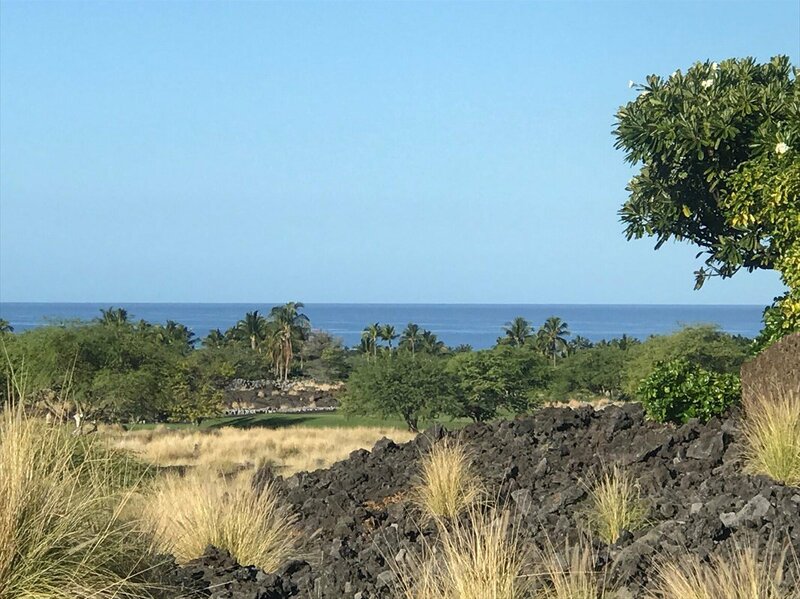 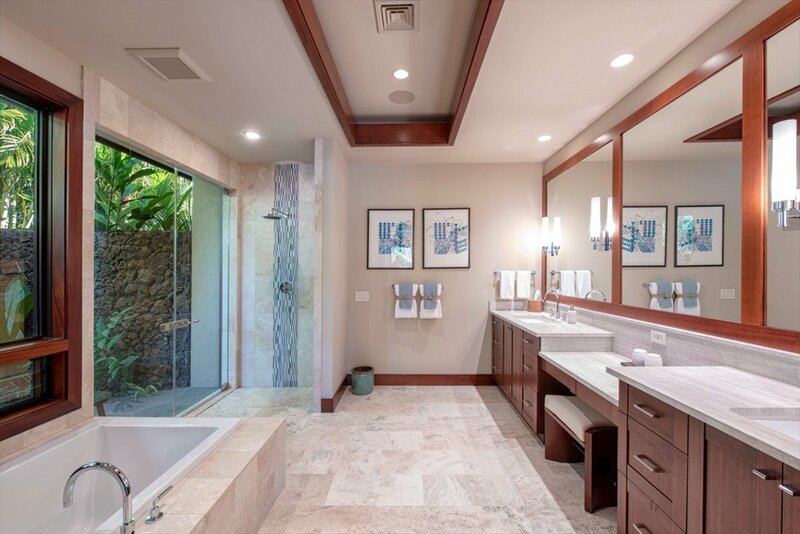 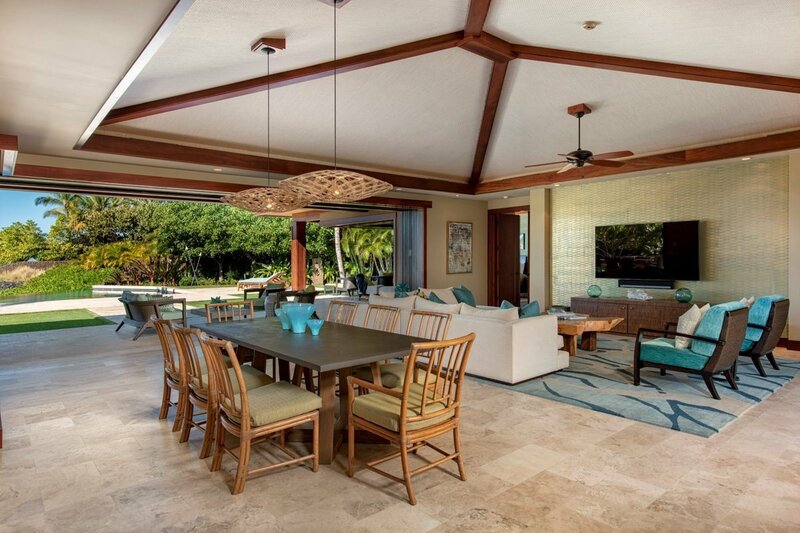 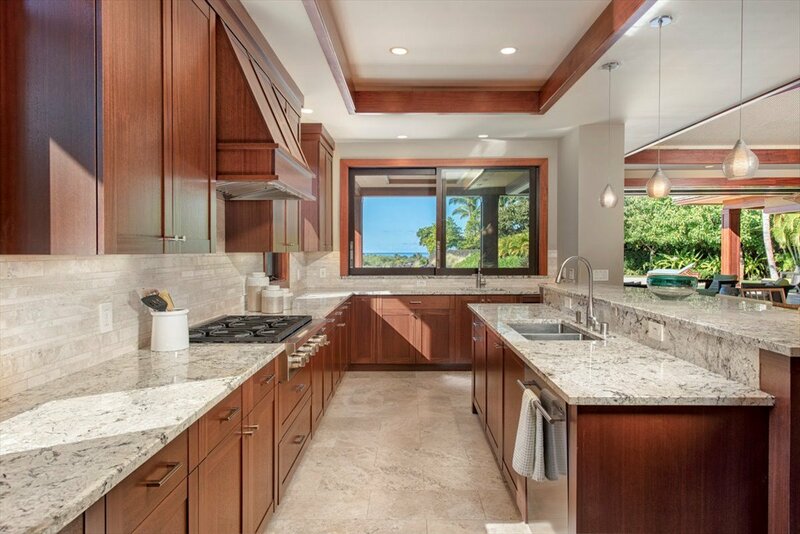 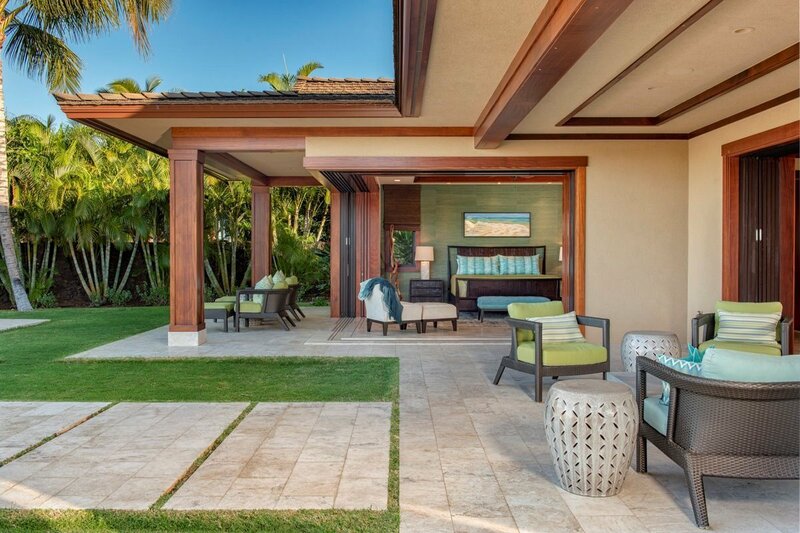 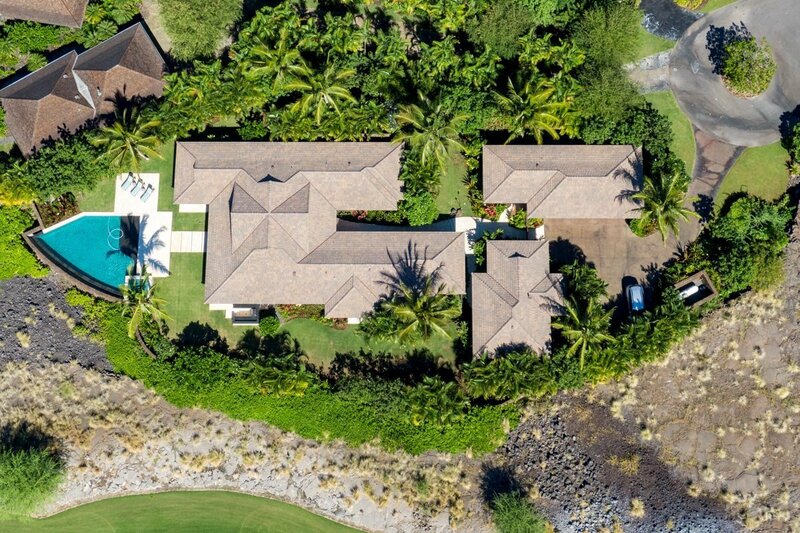 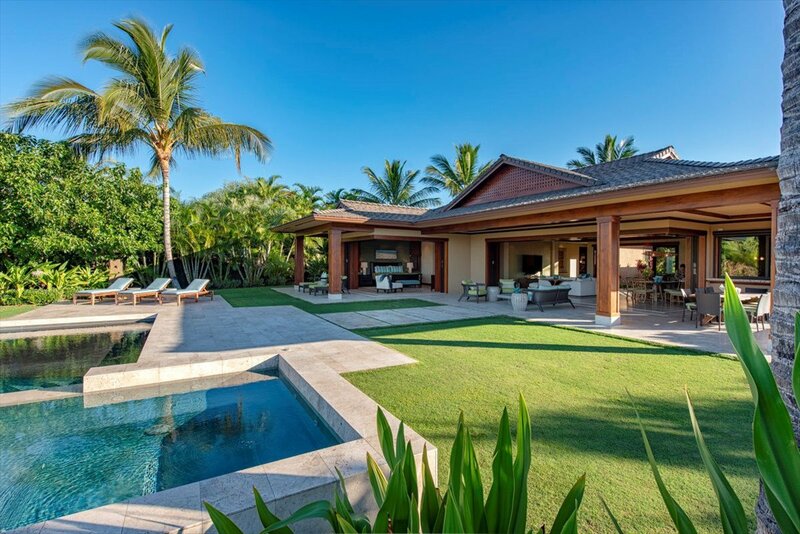 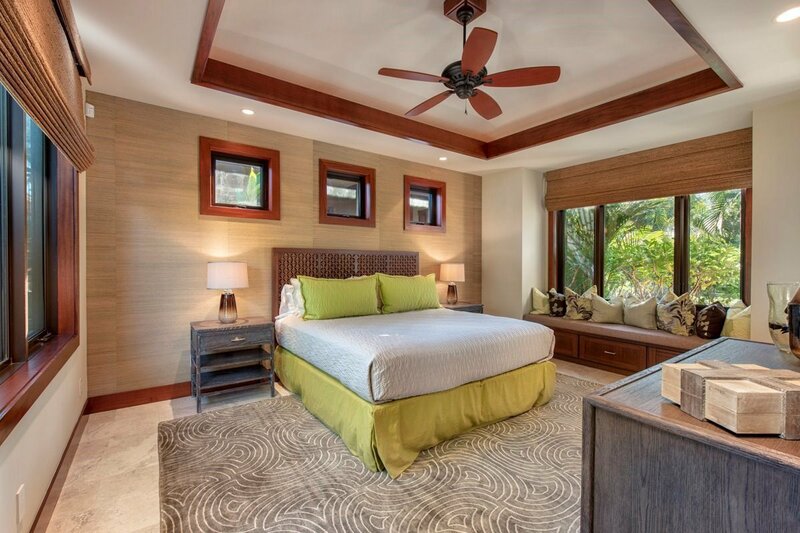 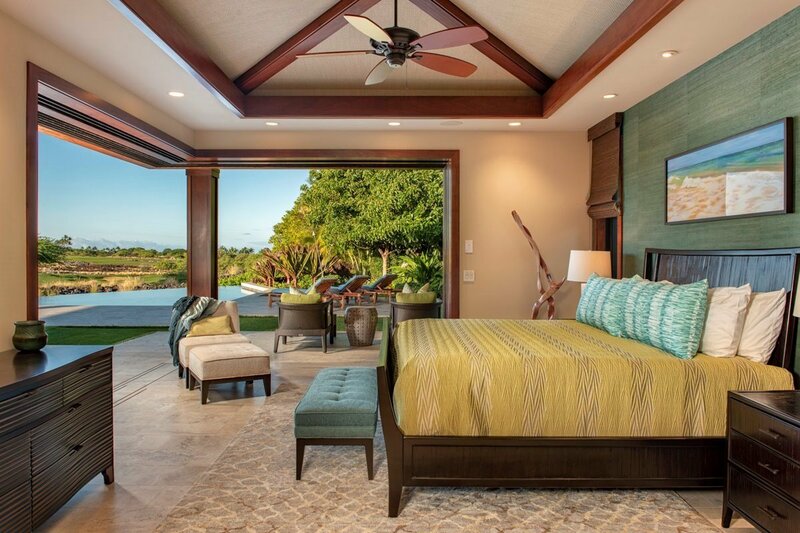 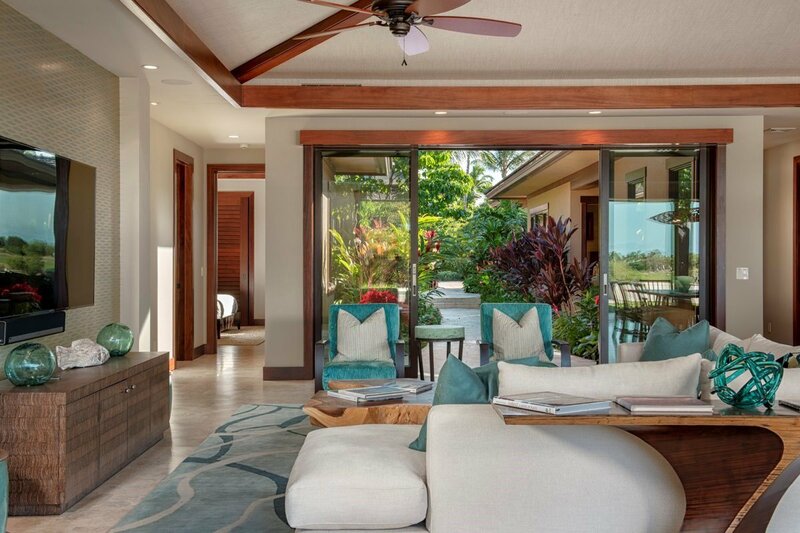 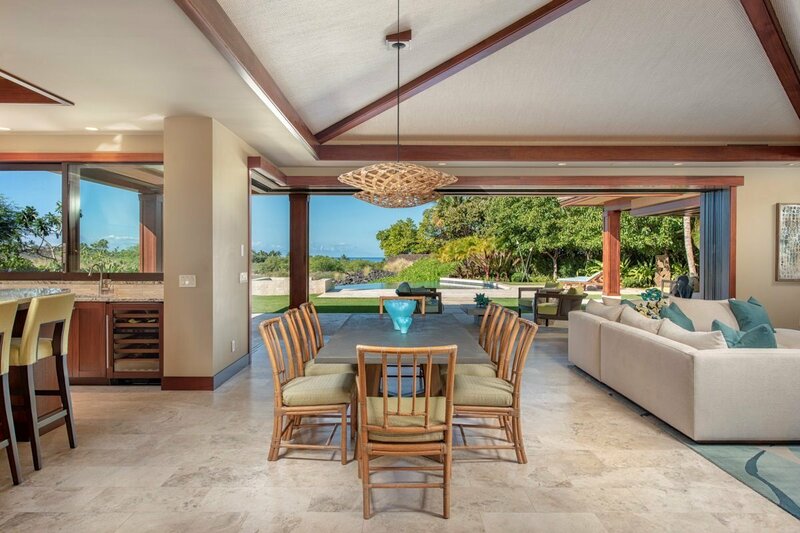 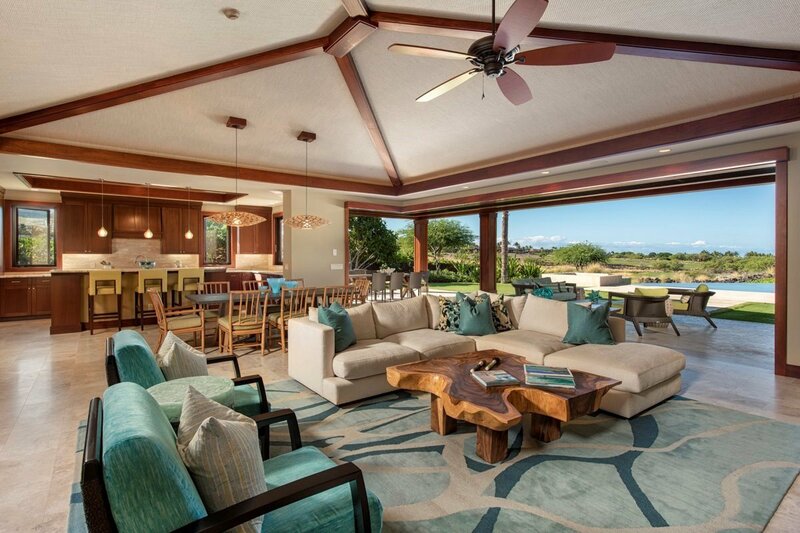 Pu'u Kole Estates: Spacious, extremely private residence with an estate feel, located overlooking the member's only Keolu 12th fairway with panoramic views of the golf course and views to the ocean. 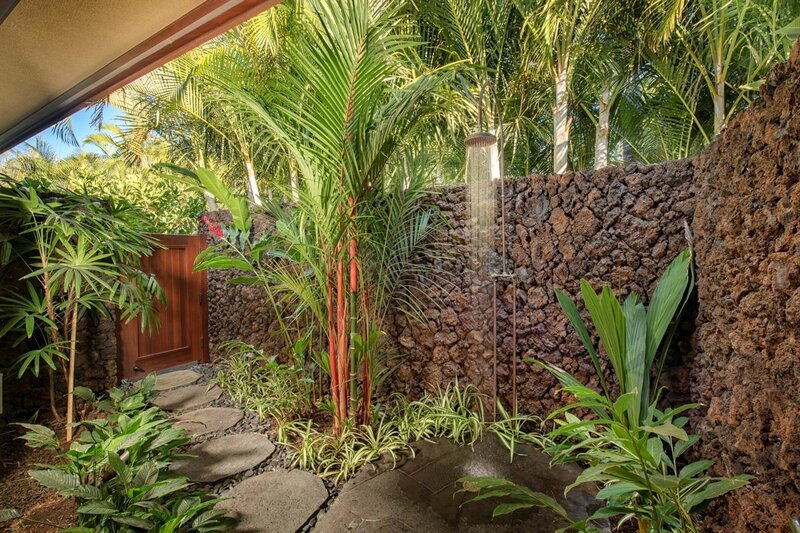 Located at the end of a quiet cul-de-sac, built in 2015, this almost new, immaculate home is beautifully furnished with five spacious bedroom suites all with garden showers. 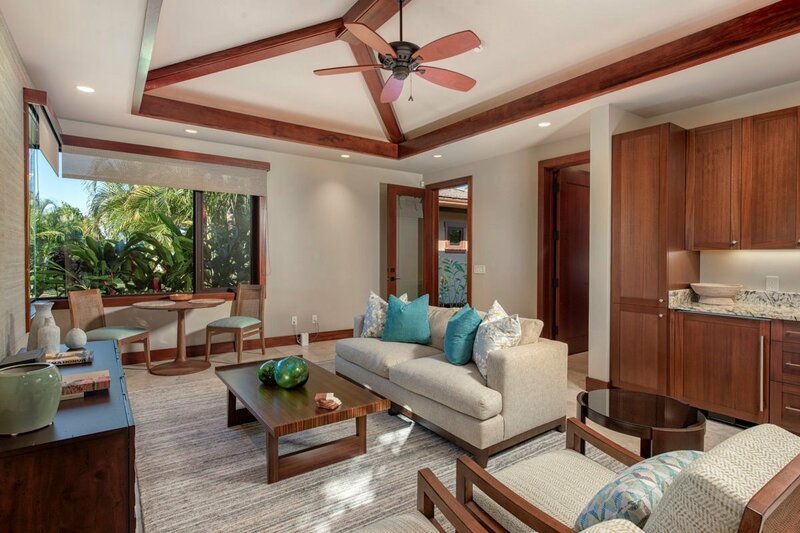 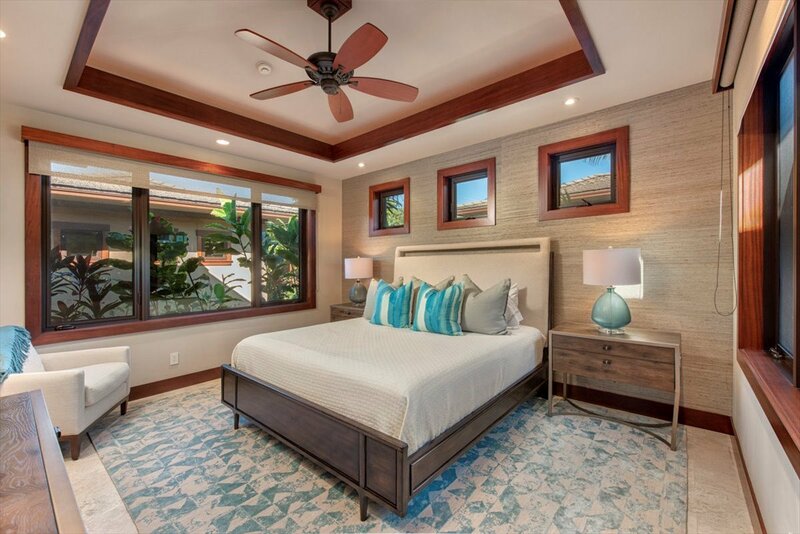 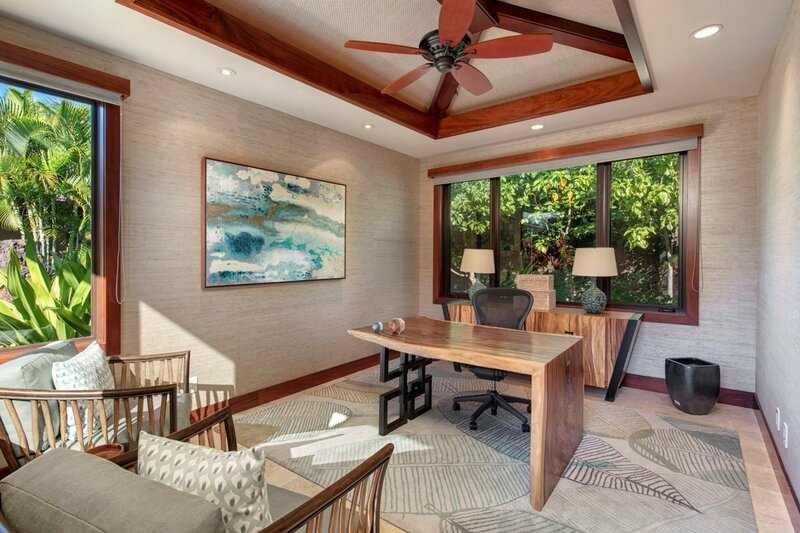 There are four bedrooms in the main residence, one bedroom and living room in the guest Ohana, and a separate Ohana with an office, easily converted to a sixth bedroom suite. 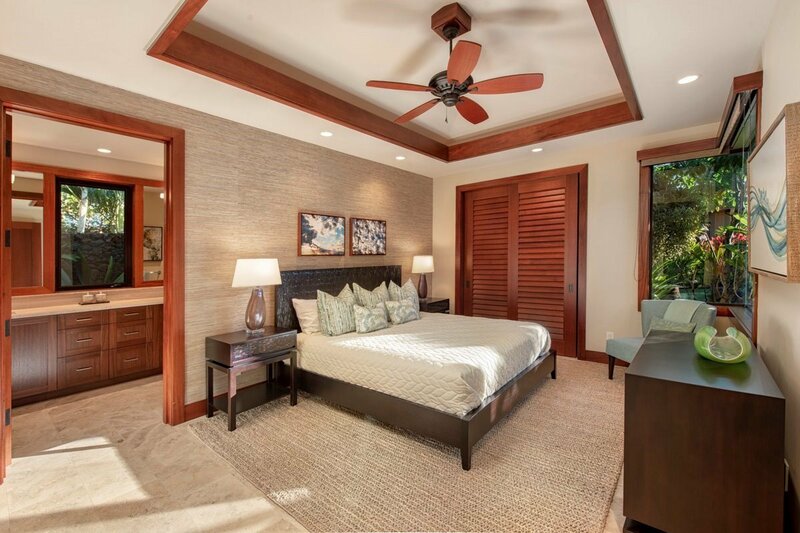 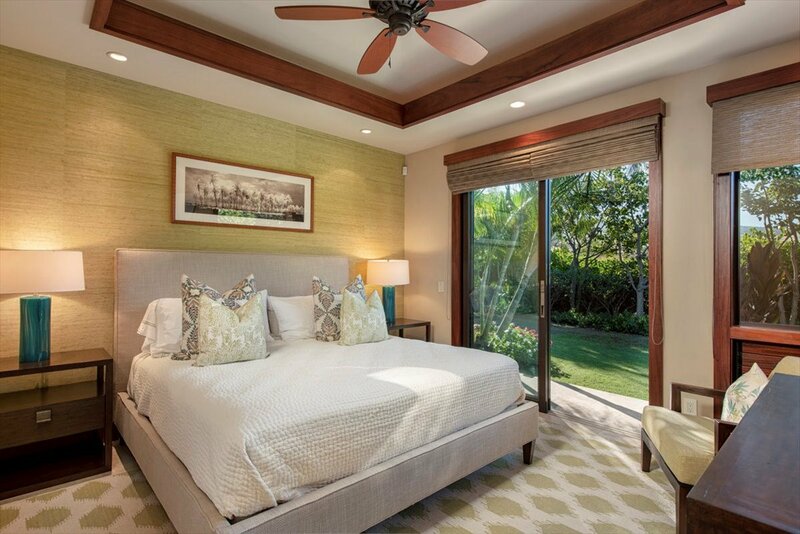 Manicured lawns and lush tropical gardens, a private entry gate with waterfall, pocket doors in the great room and master bedroom open onto deep lanais and out to the infinity pool, spa, and BBQ area. 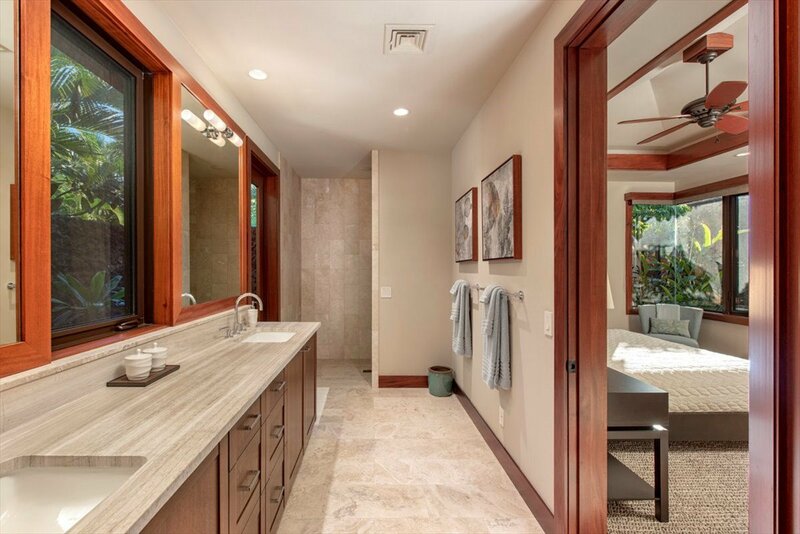 Travertine floors, granite counters, rich mahogany wood trim and doors, frameless windows, custom wall and ceiling coverings and custom shades throughout. 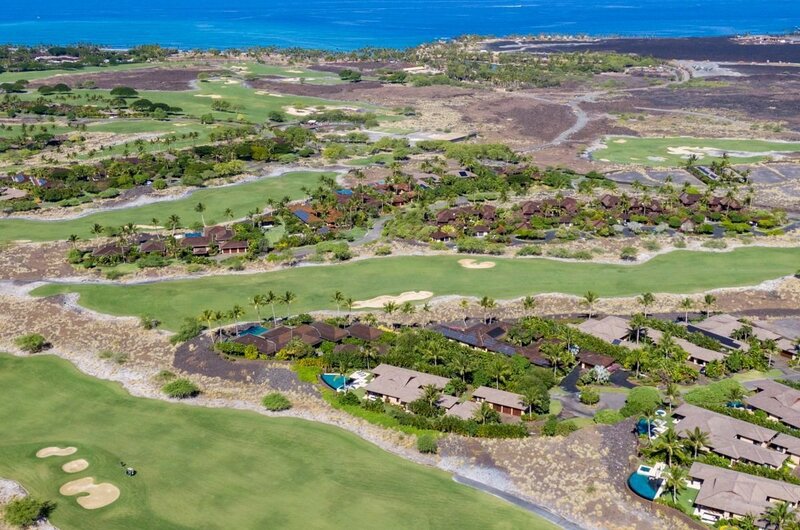 Members' amenities at Keolu and Canoe Club and the Four Season's spa, restaurants and pools are a short golf cart away. 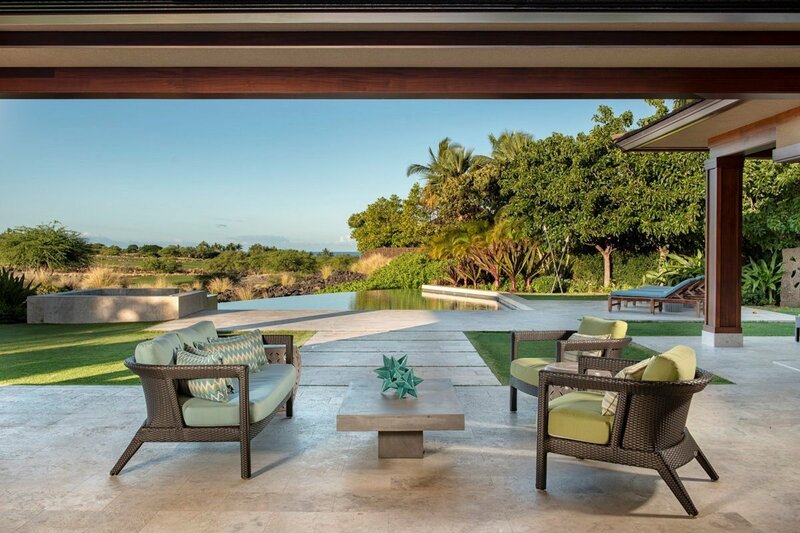 Listing courtesy of Mauna Lani Realty.